The company possesses modern storage facilities with the 20 thousand tons capacity equipped with a computerized system of microclimate control. Basically the bulk storage technology is used for potato storage. 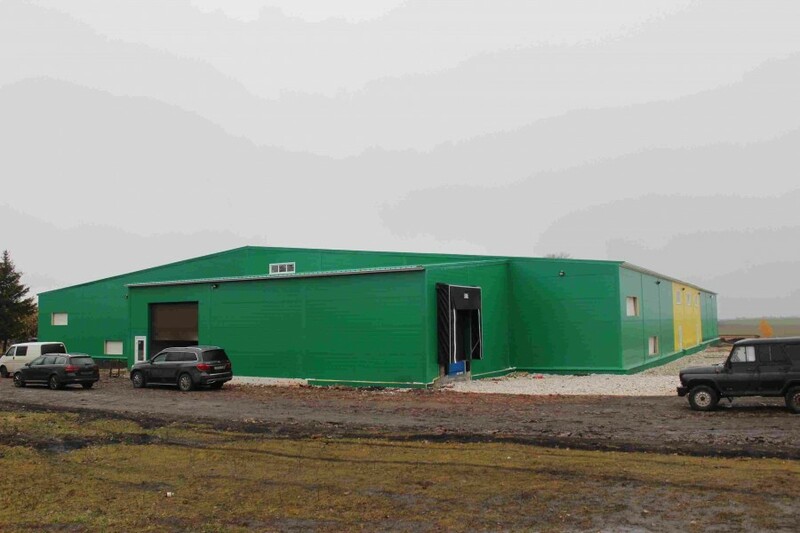 A new seed potato storage facility was built in 2014 and it has the capacity of 4500 tons. It will be used for containerized storage. During the first two weeks of storage the tubers are put through a treatment period in order to ‘heal’ mechanical damages made during harvesting and transportation and to prepare them for long-term storage. The most active healing of damages is observed at the 12–18°С temperature. We ventilate the storage facilities with humid recirculated air 5–6 times a day during 30 minutes with the 3.5–4 hour interval. At this moment the storage facility doors are closed. In order to do this the storage facility group is loaded in the shortest possible time — 5–8 days. The air relative humidity lower than 80% is not allowed during the treatment period as it leads to intensive vaporization of humidity from the tuber texture. Once the treatment period is completed the cooling period starts. If there’s insignificant mechanical damage or the tubers are healthy the temperature is lowered by 0,5°С a day during 20–30 days until the temperature of the main storage mode is reached which amounts to 2–4°С which makes it possible to consume seed and food potato in April or even later. In case there’s potato with mechanical damages there’s a need in more intensive cooling — by 1°С a day. 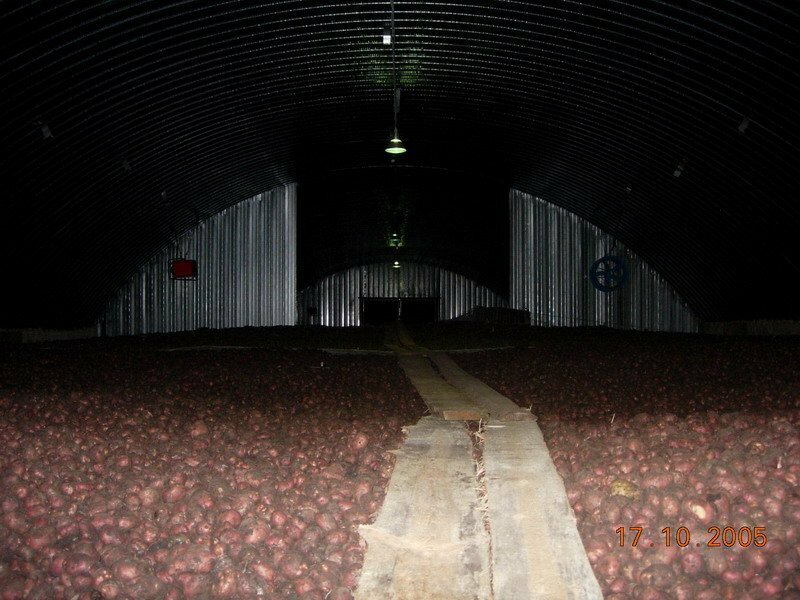 In the night the storage facilities are ventilated with outside air with the temperature 2–3°С lower than the temperature in the tuber bulk. In case the outside air temperature is negative we ventilate the storage facility with a mixture of the outside air and the air inside the storage facility (the mixture temperature shouldn’t be lower than +0,5°С). The tuber temperature control point (one point per 100 tons, but there must be at least two control points) is located in the bulk center at 0.3 — 0.5m from its surface. If the temperature inside the bulk remains at 3–4°С during the main storage period we ventilate potatoes 2 — 3 times a week during 30 minutes in order to change the air in the inter-tuber spaces. The air relative humidity is maintained at 90–95%. 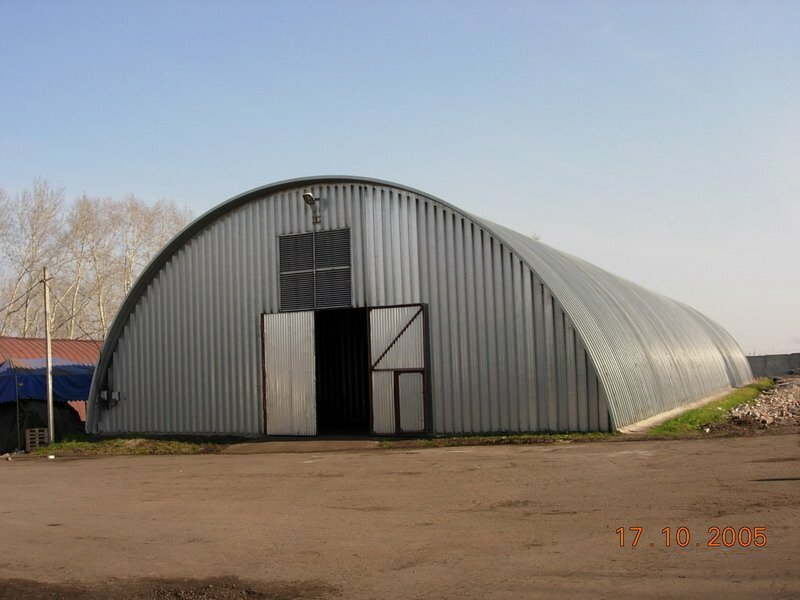 The storage facility is ventilated with recirculated air. If the temperature grows and becomes higher than 4–5°С we ventilate the storage facility with a mixture of the outside and inside air or with the outside air only if its temperature amounts to 1–2°С. 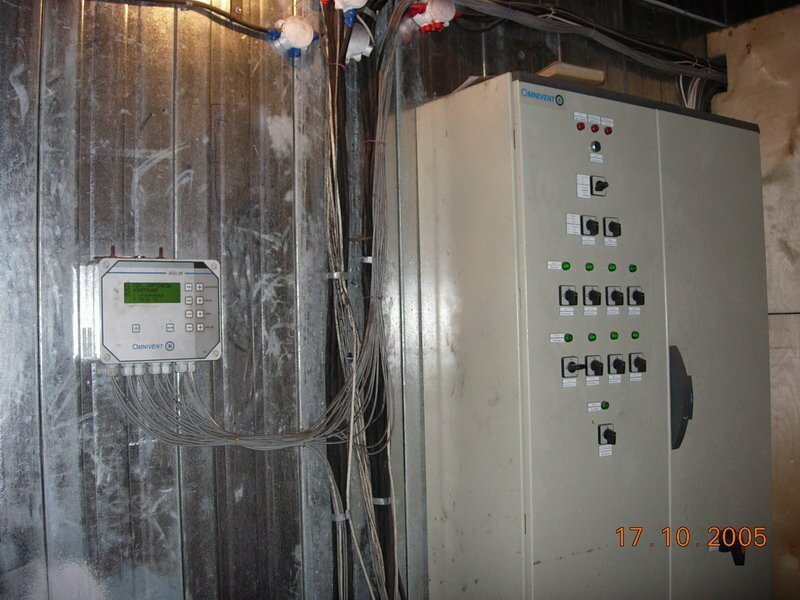 The observations over the storage process and ventilation modes are filed in a register. In order to provide cold accumulation at the beginning of spring the bulk temperature is lowered down to 2°С by means of ventilation during the night and in the morning when the outside temperature amounts to 0–1°С.